A century ago in 1906, San Francisco was devastated by a massive earthquake. On that date, the mint forever ceased production on the historic Lady Liberty $5 'Half Eagle' gold piece. It was the end of an era for the coin that had been made of 90% fine gold with the famous 'S' mintmark since the California Gold Rush. Yet, for even those coins that survived the calamity of the terrible 1906 earthquake, an even worse fate lay ahead. In 1934, U.S. gold coins were officially recalled by the Federal Government and melted down into 100-ounce and 400-ounce gold ingots. 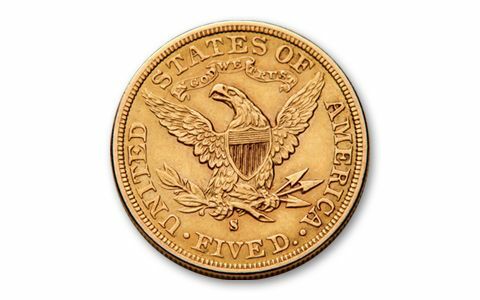 An estimated 90% of all the San Francisco Liberty $5 gold coins were lost for forever. 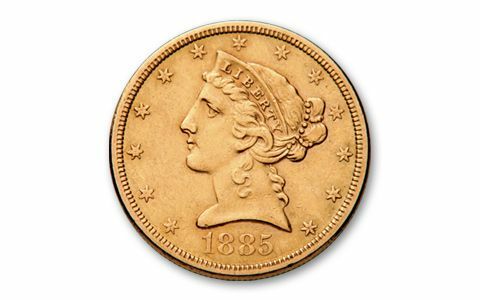 Surviving 'S' Mint Liberty gold coins, few and far between, are increasingly valued by today's collectors. Now, you can secure 'S' Mint $5 gold 'Half Eagles' saved from the San Francisco earthquake and subsequent official U.S. Treasury meltdown. These coins are dated 1866 to 1906, and struck in .900 fine (90% pure) gold. They are collector quality, with a numismatic grade of Extremely Fine to About Uncirculated (XF/AU). 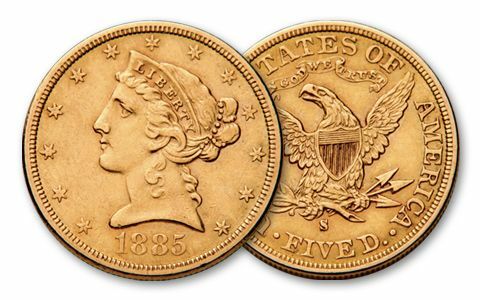 The history of the American West lives on in these glittering gold coins. The San Francisco Mint was built from the California Gold Rush and minted gold delivered from the miners. San Francisco and the western states grew out of the gold and silver strikes, and the immigrants who came from all across the land to build a new future. The images of Miss Liberty and the American Eagle on each U.S. $5 gold coin symbolize our nation's freedom, strength and faith. These precious and enduring coins are becoming more precious and sought-after with each generation, and they will become a valuable legacy for you and your loved ones. Secure yours today. Dates vary.